...a new "Tea Time Taster" course in Ballroom, Latin and Sequence dancing commences Tuesday 2nd October 2018 at St Oswald's Church Hall, Church Street, Durham City 6.30pm - 7.30pm. Only £30 per person for the 5 week course. There is the opportunity to continue once the 5 week course has been completed. Tuition for children in Theatre dance (Tap & Modern Stage/Jazz) and Contemporary Freestyle (Disco) which includes Rock & Roll, Street Dance and Slow Dance. 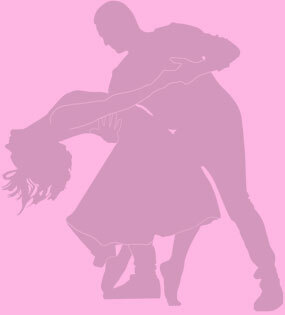 Tuition for adults in Ballroom, Latin, Sequence, Latin In Line, Mambo/Salsa and Merengue. Places are now available for Dinky Movers and other childrens dance classes. Classes for Adults are also available in Ballroom, Latin, Sequence, Latin In Line - Beginners to Intermediate. At the present time when Dance Teaching is unregulated, people can, and do, set themselves up to teach dancing without holding Dance Teaching Qualifications. Pupils are reassured to know that all Adult classes and lessons are personally taught by Academy Principal – Dianne Ross who is a Fellow of The Northern Counties Dance Teachers Association and The United Kingdom Alliance of Professional Teachers of Dancing. Dianne is a former Junior and Amateur Sequence Dancing Champion and BBC TV’s “Come Dancing” grand finalist.